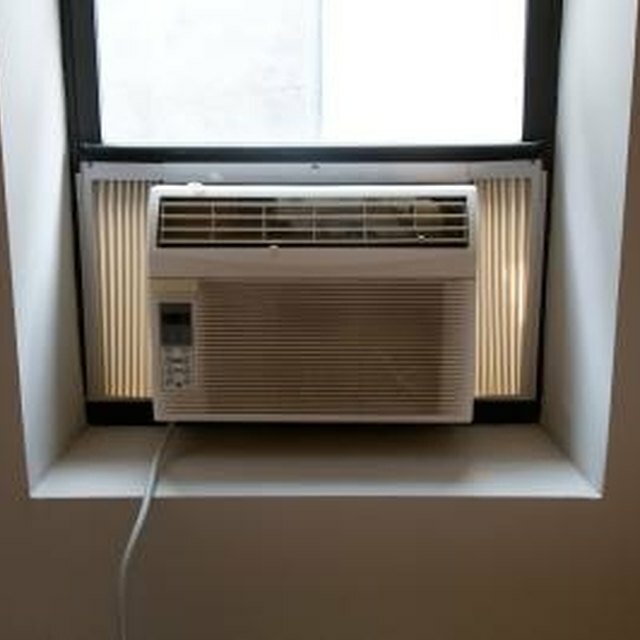 Why Is My Window Air Conditioner Not Cooling? Your thermostat allows you to regulate your heater's temperature, so ensuring that it functions properly is necessary. If your heater or furnace is not producing sufficient heat to turn icy cold rooms into pleasant warm temperatures, your thermostat could possibly be damaged or improperly set. Before you call an appliance technician, a few troubleshooting steps and guidelines may allow you to regain control of your heating needs. Troubleshooting thermostats can give you control of your heating needs. Make sure your furnace is on. If your furnace is not turning on, check the indoor switch. Check the outdoor switch if you have an outdoor heating pump. Check the circuit breakers, which are generally inside an electrical panel next to your outdoor heating pump. Turn the circuit breakers on if they are off. If the circuit breakers are on, turn them off and then turn them back on. This resets them. Turn on your thermostat. Replace the batteries if you see a low battery warning on your thermostat's display. Make sure your thermostat is set to "Heat" If it comes with a fan switch, turn it on. Adjust the temperature settings if the vents are not blowing warm air. Select a temperature setting that is at least 3 degrees higher than the room temperature displayed on your thermostat's screen. For example, if the room temperature is 65 degrees Fahrenheit, adjust the heat temperature to at least 68 degrees Fahrenheit. Press the "Reset" button to your thermostat if it is not working well. This restores the default settings. If your thermostat does not have a reset button, turn it off for a few hours. If it is still not working, contact a qualified appliance technician.